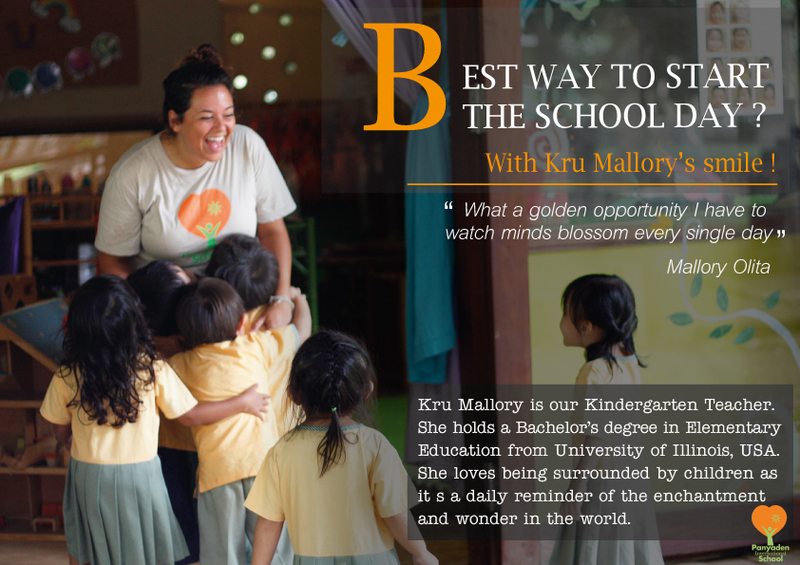 Panyaden Teacher Feature on our Facebook page today: Kru Mallory, our Kindergarten Teacher. She holds a Bachelor’s degree in Elementary Education from the University of Illinois, USA. She loves being surrounded by children as it’s a daily reminder of the enchantment and wonder in the world. Visit Panyaden’s Team page to read more of Kru Mallory’s profile! This entry was posted in Featured Posts, Others and tagged kindergarten teacher, Panyaden teacher feature.